A single-car accident on Tuesday morning left one person dead and another injured. 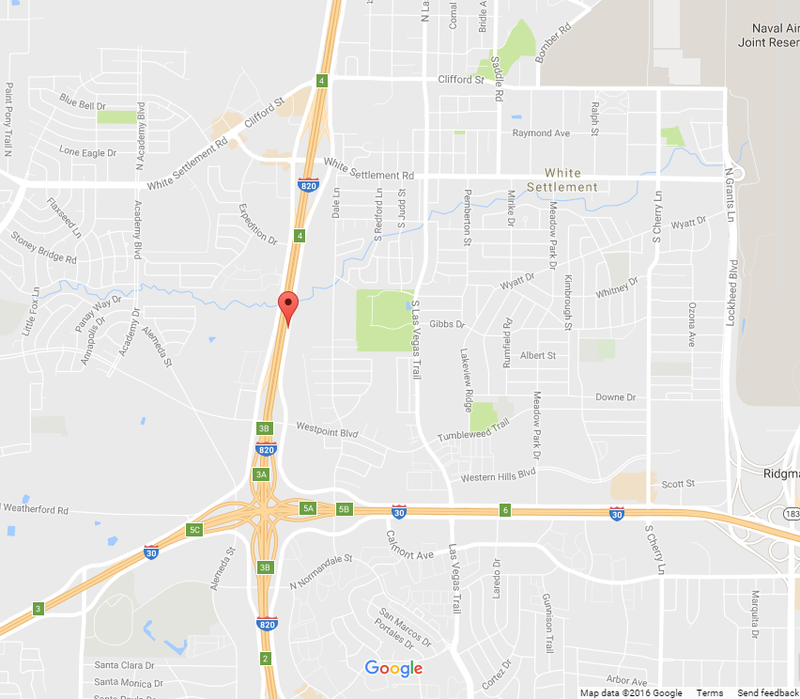 The accident, which took place on a heavily-trafficked highway Loop 820 westbound close to White Settlement Road, occurred after a driver (carrying one passenger) lost control of the car. According to police, the vehicle spun out of control and hit a sign on the highway. Although the exact details of the victims have not been released, police do note that one was pronounced dead on scene, and the other was rushed to a nearby hospital. The conditions of the surviving victim have not been disclosed at this time. It's easy to think about car wrecks as massive, catastrophic collisions between multiple cars. However, not all accidents involve more than one car - in fact, nearly half (48 percent) of all deadly Texas auto wrecks are single-vehicle, according to statistics from the International Institute for Highway Safety. But if another unruly driver isn't to blame, what can cause a car to wreck? The range of answers is broad. We all know Fort Worth roads are bogged down by construction, potholes and heavy traffic, and external factors should always be taken into consideration. Unfortunately, "internal" factors are just as likely to cause a single-vehicle collision. Speeding, alcohol and drug use, cell phone use, eating while driving, tailgating and drowsy driving are all linked to higher single-car crash rates. What Insurance Is Used in a Single-Vehicle Collision? If you're a passenger in a car when the driver wrecks, you have options under Texas law. Namely, you can make a claim against the responsible party (aka: the driver) by filing an injury claim under their bodily injury (or liability) insurance. Filing a claim against their insurance will allow you to recover money for your medical bills, missed work days, etc. Alternatively, if external factors were to blame (like a poorly-marked construction zone caused the driver to crash), you can make a claim against the city or construction company responsible. If the above coverage isn't sufficient to cover the cost of your injuries, you should check to see if underinsured motorist coverage is available to you. In the above case, the biggest question that had not yet been answered is what caused the accident. The answer - whether it was internal or external factors - will dictate what happens next.